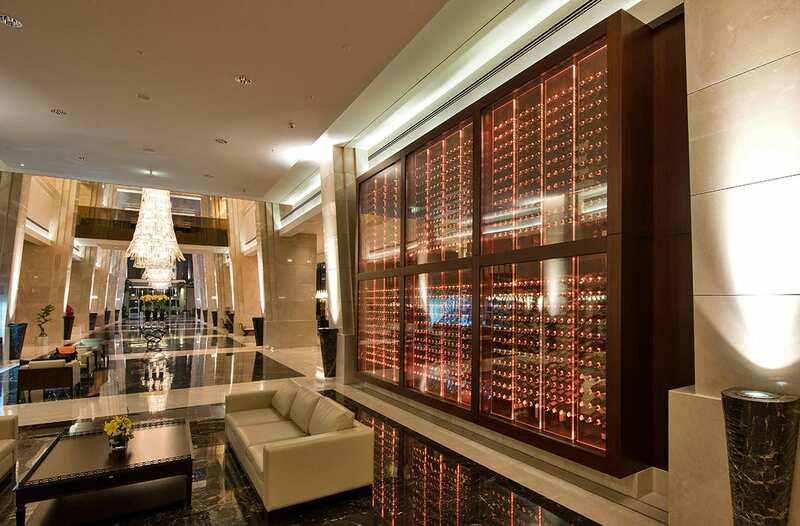 The wine cellar of the JW Marriott Hotel in Ankara is currently the largest commercial cellar in Turkey. 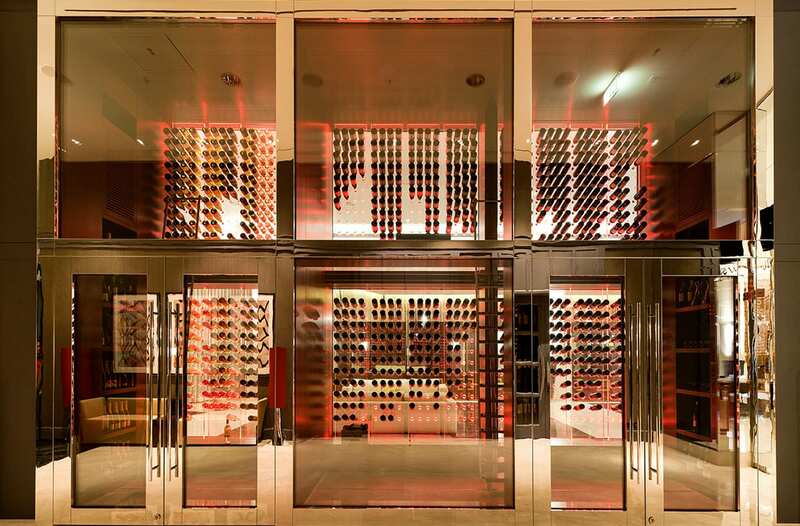 It is located at the main entrance of the hotel and acts as a welcoming divider between the lobby and Steak House Restaurant. 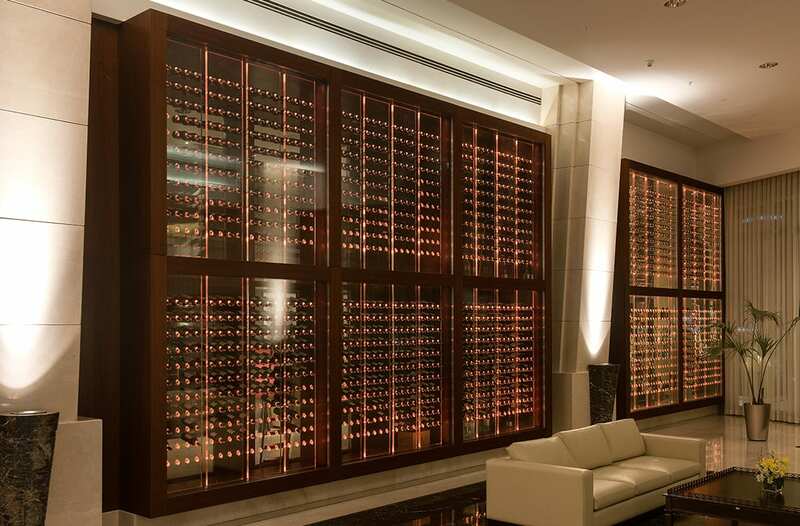 While in most cases such a high glass wall decorated with wine bottles can only be a mere display feature without any storage properties for wine, this one is a proper walk-in wine cellar with an immense thermally insulated glass façade 5 m high and 7 m wide. 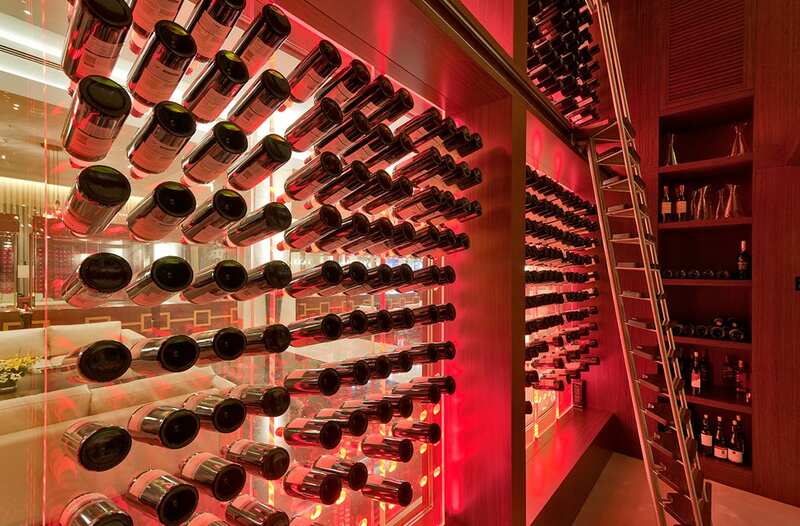 The walk-in cellar can hold up to 1,860 bottles in two different temperature compartments which enable storing different kinds of wine separately, at temperatures closer to their serving temperature.